The ACP podcast is presented by: Carl, Will and Erlend. We are back from Fredrikstad animation festival, but Morten is still hung over, so we had to bring in his nemesis, Carl. This is the week we talk about the 2011 Oscar contenders, The Toy Story 3 that never was, Pixar’s “it gets better”, the HOP-trailer and of course, This weeks movie: Dumbo! Tangled arrives in US-cinemas Nov. 24 2010. 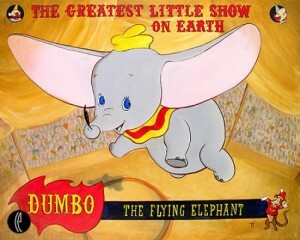 This week we review: “Dumbo” (1941), directed by Samuel Armstrong, Norman Ferguson, Wilfred Jackson, Jack Kinney, Bill Roberts and Ben Sharpsteen. Our verdict: * * * * * 5 stars. In two weeks, we will review Richard Williams’ “A Christmas Carol” from 1971. Info: Please e-mail us at: feedback@animationconversation.com with suggestions, comments or questions for the ACP-Team.